There are a lot of NoSQL databases out there. We have used or tried out many of them. We love a lot of cool features they offer. However, we also face many unique challenges in a highly regulated HCM SaaS business. 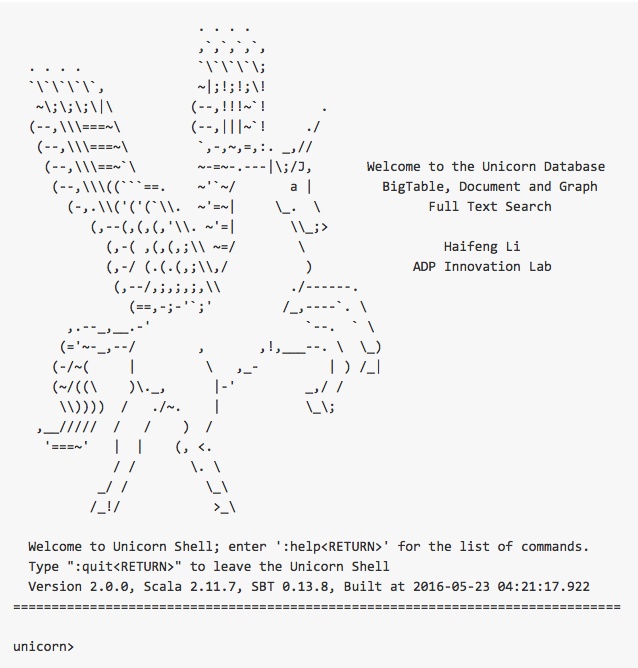 So we have kept looking for the unicorn database to meet our requirements. Unfortunately, none of existing solutions fully address all of our challenges. So we asked ourselves two years ago if we can build our own solution. It was how Unicorn database was born. Unicorn is built on top of BigTable-like storage engines such as Cassandra, HBase, or Accumulo. With different storage engine, we can achieve different strategies on consistency, replication, etc. Beyond the plain abstraction of BigTable data model, Unicorn provides the easy-to-use document data model and MongoDB-like API. Moreover, Unicorn supports directed property multigraphs and documents can just be vertices in a graph. With the built-in document and graph data models, developers can focus on the business logic rather than work with tedious key-value pair manipulations. Of course, developers are still free to use key-value pairs for flexibility in some special cases. For in-depth information on various Big Data technologies, check out my free e-book “Introduction to Big Data“.